She even got to practice her samurai skills. 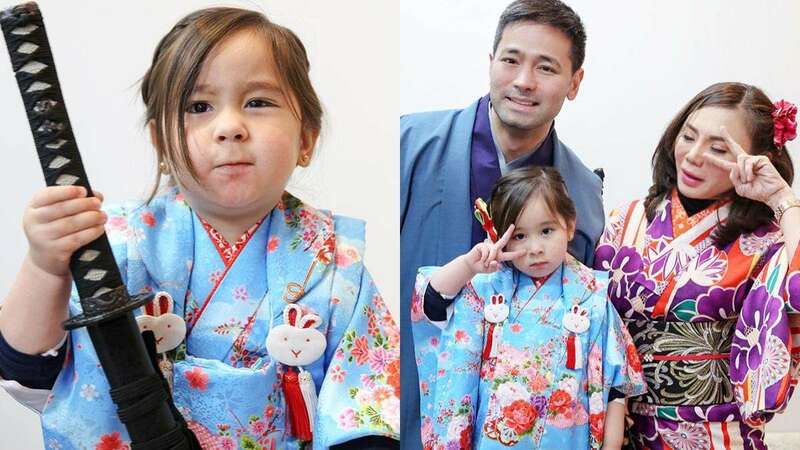 Scarlet Snow Belo-Kho is currently in Japan—her first time in the country! We did a little online snooping to see where her parents Dr. Vicki Belo and Hayden Kho have taken her, and trust us, these pics will make your day. Her first stop? Shopping in Tokyo! Later that night, she went to see the Gundam statue with her daddy Hayden. Scarlet posing with a fortune cat statue is the CUTEST. THING. EVER. She also got to sport authentic Japanese costumes with her parents. And had some samurai training with her daddy! Awww!